Athletes who do high-demand sports such as football, soccer, and basketball are most at risk of tearing an ACL. The American Orthopedic Sports Society (AOSS) says ACL injuries often happen when a player changes direction, slows down, or stops suddenly; lands badly after a jump; or when the knee takes a direct hit—during a football tackle, for example. 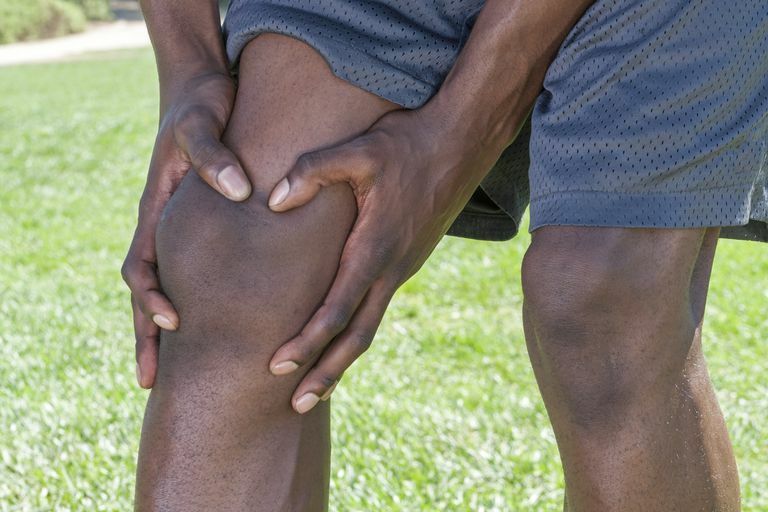 Keeping the muscles that surround and support the knee is the single best way to protect the knee and its individual structures, including the ACL, from injury. These three moves are designed to warm up those muscles before putting them to work. Warming up is a crucial part of a training program. The routine is designed to be done on a soccer field but you can improvise using fitness cones or some other type of marker: Most professional soccer fields are between 100 yards and 150 yards long, and 50 yards to 100 yards wide, but feel free to adjust these dimensions to ones that make sense for your physical abilities or those of anyone or any group you're leading. The point is to warm up the muscles without challenging them too much, so let your instincts be your guide. Jog for about half a minute at a slow, gentle, comfortable pace back and forth between sidelines. Concentrate on using good running technique, especially in terms of the alignment of your hips, knees, and ankles: Work to prevent your knees from caving inward and your feet from whipping out to the sides. The purpose of this exercise is to engage your inner and outer thigh muscles (quads) and your hips. As a side benefit, it will help to promote speed. From one end of the field, start in an athletic stance with a slight bend in your knees. Leading with your right foot, step sideways by pushing off with your left foot. Move continuously in this way until you reach half field. At this point switch your lead foot. When you drive off with your back leg, be sure your hip, knee, and ankle are in a straight line. Keep going without stopping for 30 seconds to one minute. Here you'll begin to fire up your hip extensors (in the front of your thighs) and your hamstrings—the muscles in the back of your legs. The move itself is straightforward: Run backward from sideline to sideline. The trick is in the technique: Land on your toes and be careful not to lock your knee—in other words, keep a slight been in the joint at all times. Travel back and forth between sidelines for between one and one-and-a-half minutes. American Orthopedic Sports Society. "Anterior Cruciate Ligament (ACL) Injuries." March 2014.